Can Cumin help lose weight? Continue reading below to learn how losing weight with cumin in possible! Weight loss can be a tough time for you. Some people lose weight quickly and some, on the other hand, go harsh on their body yet don’t achieve the results. One of the root cause of this can be the characteristics of your metabolism. Having a faster metabolism allows you to lose weight more easily and faster without compromising with much of the habits. While people with slower metabolism always have a tough fight to combat. There’s always a way out for everything! Same is the case with this problem. There are some spices and foods which can help you to shed weight quickly and easily. We are listing the benefits of one such spice that is — CUMIN! Don’t believe us, instead check out this scientific research on PubMed.gov to know the proven results of cumin in losing weight and fat. In this experiment, scientists divided women with obesity into two separate groups. Although the team arranged an identical calorie intake for both the teams, the results were drastically apart. The reason behind the different results was that one group consumed three grams of cumin seeds daily and the other one ate plain yogurt. The group with cumin intake lost 14.64% of their body fat and weight. While the group with yogurt intake just managed to lose 4.91% of body fat. The dosage tested in the experiment was 3 grams or about 1 teaspoon of cumin powder twice a day with the meal, mixed with yogurt. In the study, it was also found that cumin also significantly reduced blood lipid levels. Triglycerides dropped 23 points compared to only five points in the other group. And LDL cholesterol level dropped by 10 points for the first group compared to less than one point for the other group. Now you can realize how much effect does cumin seeds, and yogurt can do to your body weight and bad fats. Cumin has phytosterol content, which is believed to be the reason for cumin’s metabolism boosting quality. 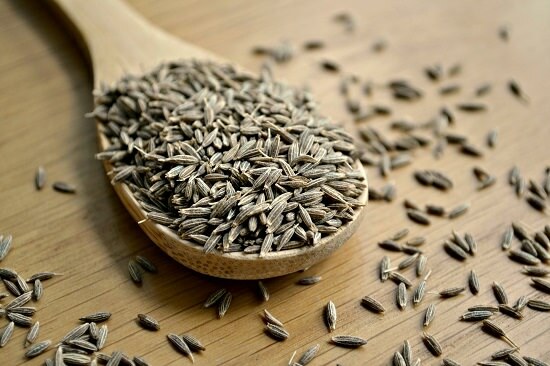 To start a new and fit tomorrow, start consuming at least three grams of cumin seeds on a daily basis. Make it a habit and observe the changes! She Boiled the Watermelon Seeds for 15 Minutes, you will be Shocked by the Result!